Refined dessert wine, Ala of Duca di Salaparuta was born from the desire of the Duke Henry of giving his wife Sonia the perfect addition to his passion: chocolate. Garnet red color with amber highlights. intense, ethereal with clear hints of cherry and almond memories. Particularly pleasant with sweet chocolate and almond. 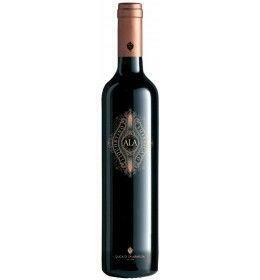 THE WINE Refined dessert wine, Ala of Duca di Salaparuta was born from the desire of the Duke Henry of giving his wife Sonia the perfect addition to his passion: chocolate. Liquorvino garnet red with amber hues. intense, ethereal with clear hints of cherry and almond memories. Typical dessert and particularly pleasant with sweet chocolate and almond. Before 28,00 € tax incl. Tasting Color - red garnet with amber. 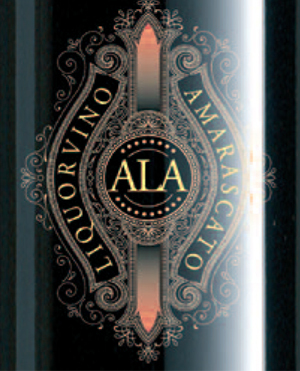 Aroma - intense, ethereal with clear hints of cherry and hints of almond. Flavor - sweet, warm, velvety, very aromatic and with a pleasant aftertaste. Refined dessert wine, Ala of Duca di Salaparuta was born from the desire of the Duke Henry of giving his wife Sonia the perfect addition to his passion: chocolate. Liquorvino garnet red with amber hues. intense, ethereal with clear hints of cherry and almond memories. Typical dessert and particularly pleasant with sweet chocolate and almond.